Sick of being cooped up in a 5x5 cubicle all day? Ready to see the sunshine and take in the summer smells during your work week? Not the white shirt and tie type, but ready to own and manage your own home business? Are you a teacher or seasonal worker looking for summer business ideas? If you answered yes to any of these, it might be time to consider the benefits of starting an outdoor or seasonal home based business. Here is a list of eight compelling outdoor or seasonal home based businesses. Get the scoop on the pros & cons, startup requirements and earning potential of each opportunity. A pest control services home based business has the potential to provide a healthy income: Many independent exterminators can far surpass the median hourly rate of $13.41 for franchise employees, making this one of those home based business ideas that warrants attention. Pest control services profits can exceed $75,000 a year, but working conditions are not for the squeamish. A successful small window cleaning operation can expect to eventually gross about $4,000 a month in a medium-sized city. There is no formal training or even on-the-job experience necessary for window cleaning and startup costs for a window cleaning home business can be as low as $250 for a one-person crew. Many deck builders leave the servicing of decks to others. That's a lifetime of washing, sealing and restoring for a savvy entrepreneur to capitalize on. Rates for washing and sealing a wooden deck can range anywhere from about $235 for a regular treatment to $405 for a damaged deck. Accounts are perpetual, as customers seek services annually or every few years. Some gutter cleaning services may charge a flat per-house fee, others charge by the cumulative length of the gutters and downspouts. For a challenging job, the per-house fee may be as high as $150. There is flexibility, as gutter cleaning can easily be combined with another basic home-maintenance service, such as window washing, gardening or snow removal. Just beware, gutter cleaning is a potentially hazardous job. 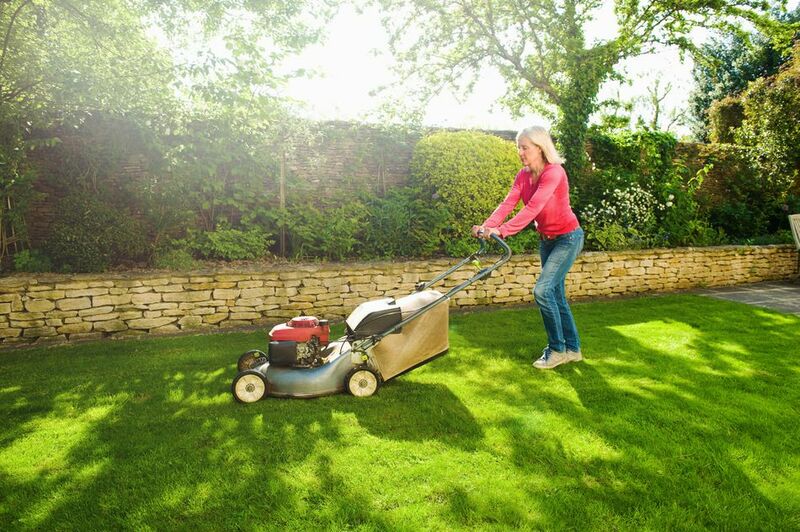 A gardener performs many tasks to keep their customers' homes and yards looking beautiful. You can earn an average of $17.93 and the demand for gardeners is supposed to grow by 18% through 2016. Monthly maintenance schedules with clients keep the bookkeeping relatively simple in a home-based gardening business. Only those who already have this type of experience should attempt this line of work. Revenue from a roof repair home-based business can accumulate quickly, with fees running between $95 and $350 to repair a 10-foot square of cement shingles and between $135 and $1,000 for wood shingles. But with this high return comes risk, roofing is often ranked as one of the 10 riskiest professions. There are just 5,000 sweeps or so in the profession, according to the National Chimney Sweep Guild, and millions of chimneys are waiting to be inspected and cleaned. Many fire departments recommend a cleaning by a chimney sweep once a year. That means repeat business to make this largely seasonal work more consistent. The median income for chimney sweeps is around $21 an hour.